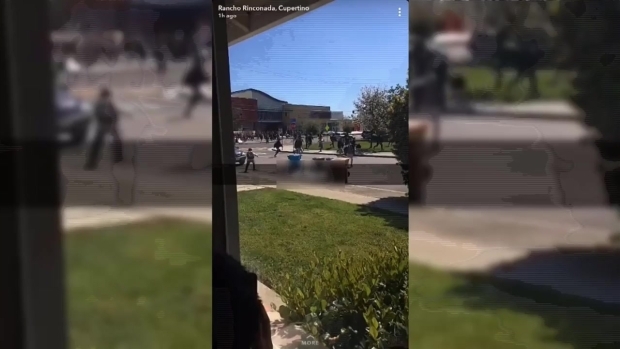 Students of Cupertino High School returned to class Wednesday after a "threatening robo call" prompted an emergency evacuation Tuesday afternoon. The campus increased security presence and offered counseling to students following the threat. 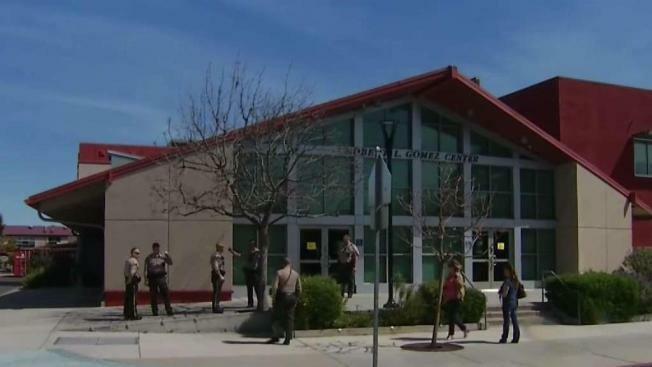 The Santa Clara County Sheriff said that a "robotic call was received by the school threatening harm around 1 p.m. After further investigation, the Sheriff's office said the phone number linked to the robo call traced back to similar incidents reported nationwide. A 'threatening robo call' prompted an emergency evacuation at Cupertino High School on Tuesday. The campus was immediately cleared and all courses and activities canceled for the remainder of the day. Assistant Superintendent, Tom Avvakumovits, said the threat was made while students were at lunch prompting the decision to quickly evacuate the school to "prioritize student safety." Cupertino High School Senior, Kayshav Prakash, was waiting with a friend in his car for the next period to start when he saw floods of students running out of the campus. "We just got out and ran with a whole pack of people running and went to a house across the street from the school,' said Prakash. While waiting for the all-clear from officers, Prakash described the evacuation as "really terrifying" in light of the recent school shootings in the country. "My instinct was just to run. It was really clear we needed to just get off," said Prakash. Officers on scene said there is no indication of any danger to the school or the nearby community. "Matter under investigation," the tweet said. Tweets on social media indicated that students were evacuated and some were outside the school. Nearby streets were blocked off by police. An evacuation notice was sent out via emergency alert system, which contacts parents via phone call and e-mail. Some parents already picked up their children from the school. There is a large Sheriff's Office presence at Cupertino HS in @CityofCupertino. A "robotic call" was received by the school threatening harm. The Sheriff's Office is on-scene and there is no indication there is any danger to the school or nearby Community. Matter under invest.